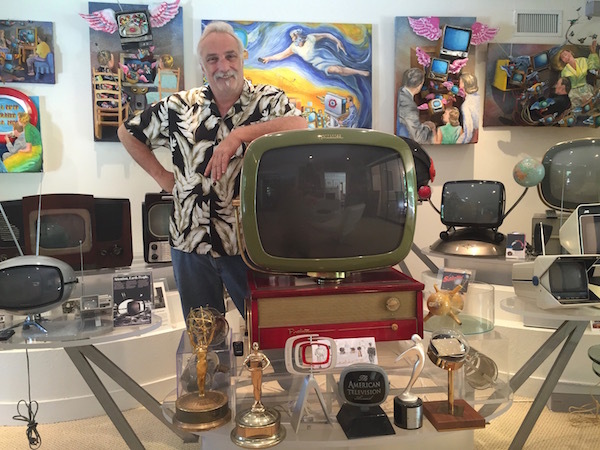 When TV producer Phil Savenick started collecting vintage TVs and TV memorabilia, he didn’t anticipate that he’d end up with what he now calls a “dreamland of televisions” in the living room of his West Los Angeles home — or that he’d end up helping the family of the man who invented TV heal some old wounds. HOME is a member of the Boing Boing Podcast Network. If you like the show, take a minute to drop by the iTunes Store and give it a rating and/or review. NEW: Subscribe to the HOME newsletter for bonus content and instant-ish notifications of new episodes. The time the BBC News reported that "there is no news"
"Good evening. Today is Good Friday. There is no news." A puppet march to support public broadcasting has its own theme song.